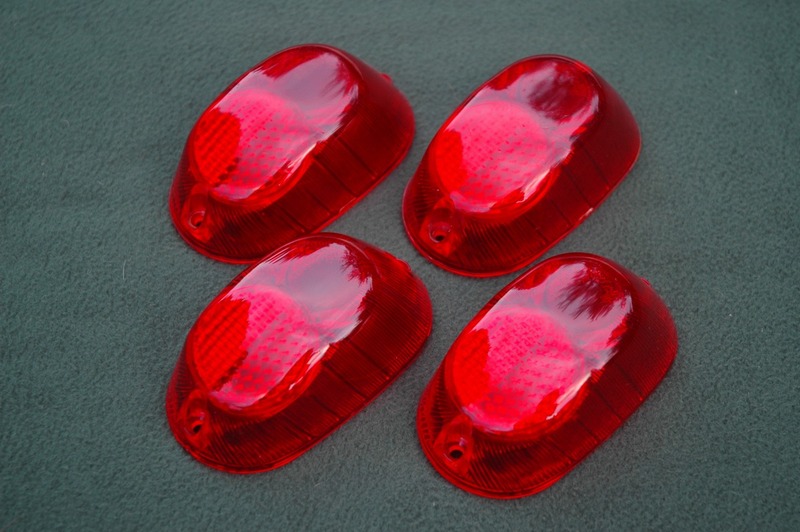 SimpleSevens is always on the lookout for new or previously undiscovered sources of parts for our cars and I want to pass on my latest "find." I arrived home the other evening to find a package from fellow Seven owner Dave Painter. 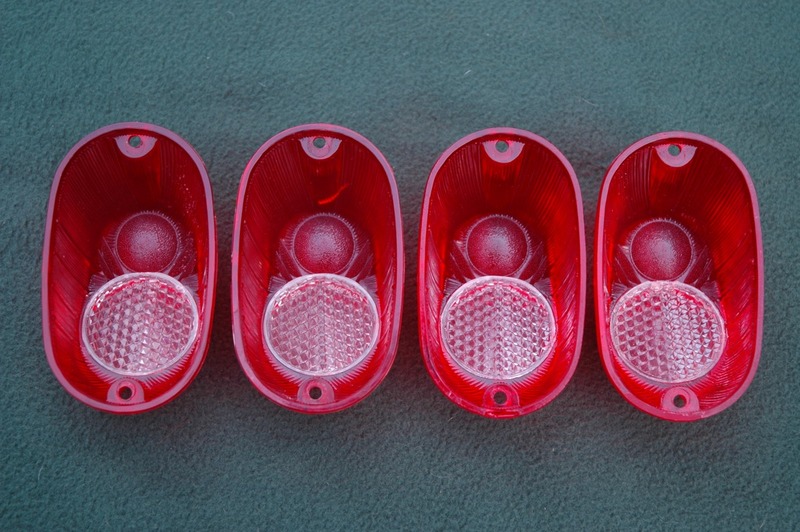 Inside were a pair of pristine Wingard 1055 tail light lenses and rubber mounting plinths. In the enclosed note Painter said that he had become frustrated trying to find suitable replacements for his car and decided to reproduce the parts. He went on to say that he was pleased with the results and thought that other Seven owners might appreciate the opportunity to freshen up their car's appearance, too. I've looked the lenses and plinths over very carefully and find that they are virtually indistinguishable from the originals! 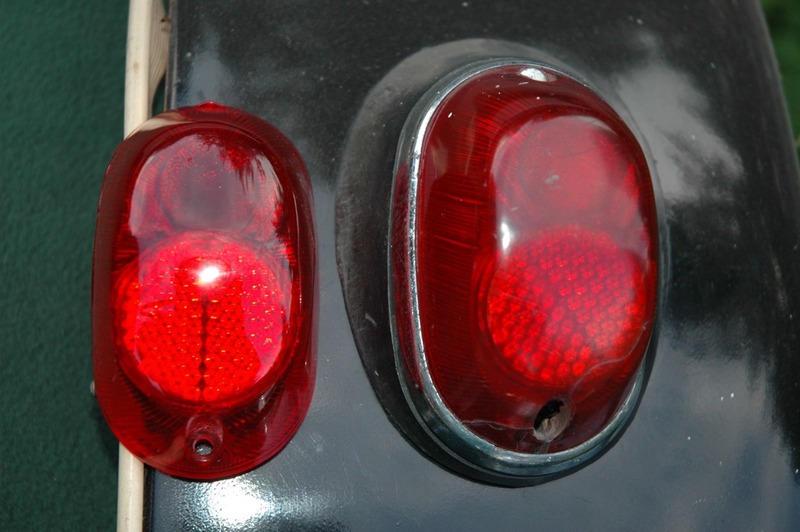 David is now also gearing up to produce the Thorpe tail lamps as found on late S2 and S3 Sevens... With two more orders he can also produce Lenses for the Thorpe Tail Lights used on the Series 3 Sevens. 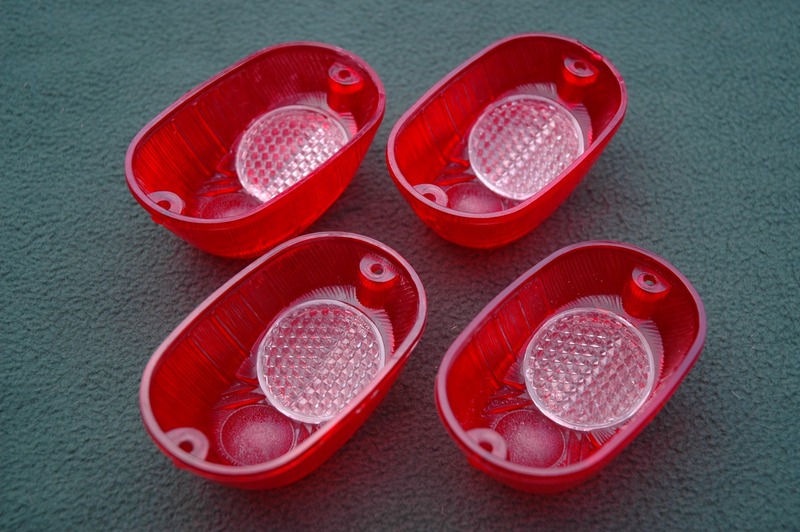 They are the correct solid red lens (without the clear window for a license plate light). The cost will be $75/pair. 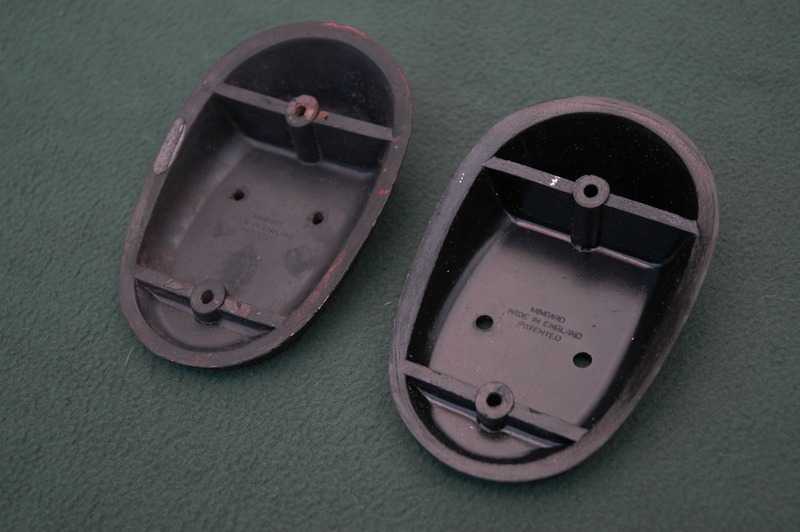 David is still searching for a pair of the mounting plinths for the Thorpe lights on a Series 3 Seven in order to make molds to reproduce these parts, as well. 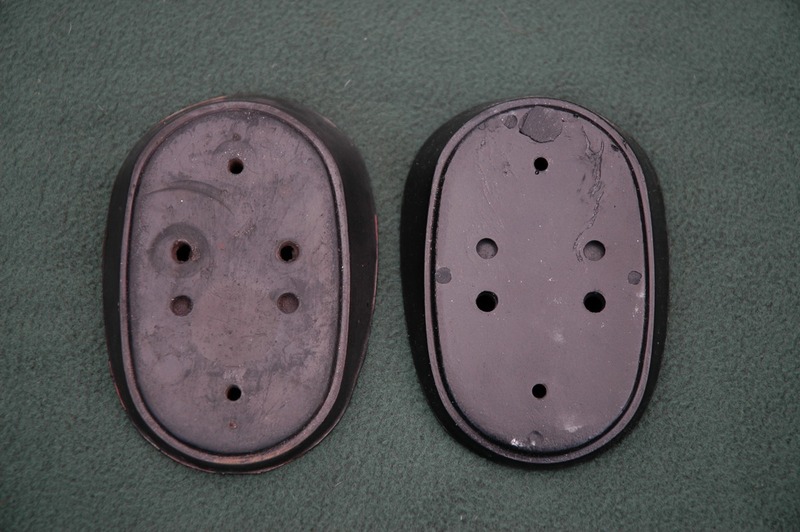 If you have an original pair of mounts that are in good shape or know of someone who does, please email him (Click here to email David Painter.). He is happy to buy the mounts or simply borrow a pair (they are left and right handed). The mold making process does not affect the original in any way and he would be happy to provide a new pair of mounts along with return of the undamaged originals. PLEASE NOTE: Incorrect wiring or bulb wattage can melt your lenses! Overtightening the screws can crack or break your lenses! 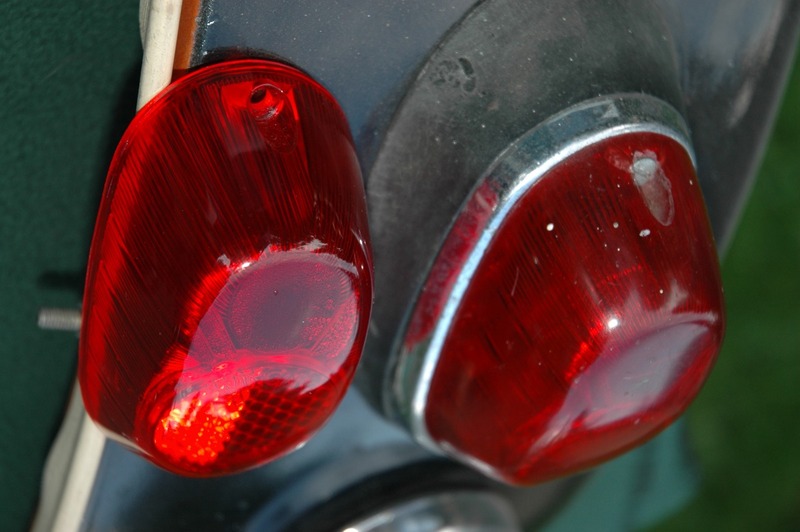 Read about the proper use and care of your new tail lamps here: Care and Use . Photos below are of two lenses I purchased recently as new old stock, and two of Dave's reproduction lenses. To be perfectly honest, I had a hard time telling them apart. Almost as if the pair I already owned were reproductions, hence, my comparison above with the known original. Original plinth on left, reproduction on right. Reproductions are molded from originals. 1. High Quality Reproduction Lenses. 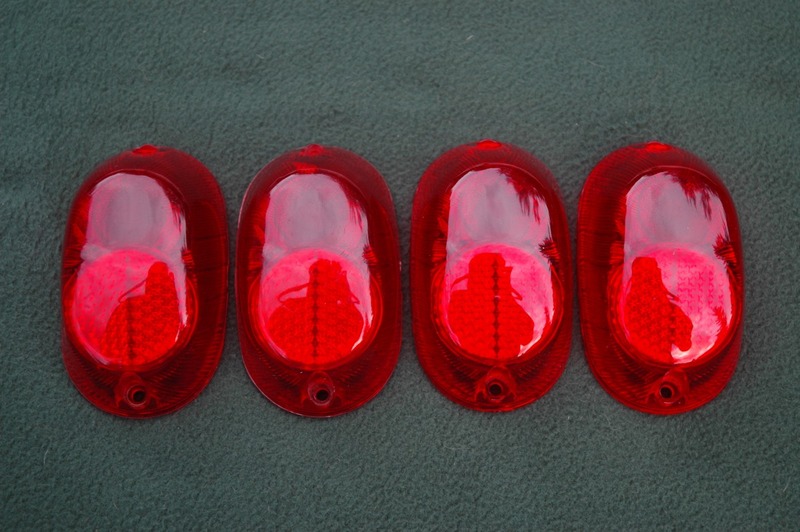 Made of ugly beige hard plastic these can be used to make functional Wingard 1055 look-a-like tail lights. They are a useful and inexpensive option for race cars where you don't want to risk expensive original Wingard parts in wheel to wheel action. 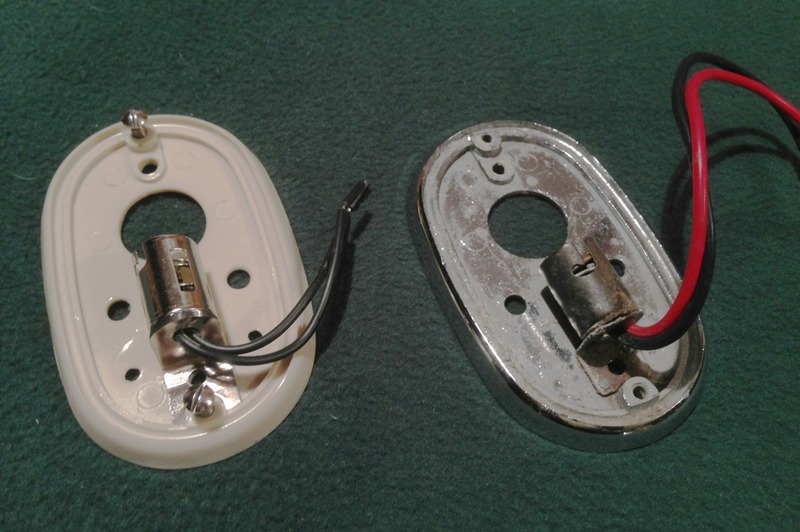 $25.00/pair PLEASE NOTE: The bases are molded in plastic and are the plastic color that you see in the above photos. YOU may paint or chrome them if you desire. Click here to email David Painter. Include your name, email address, shipping address, the items you'd like and indicate your payment type: check or PayPal. Dave will carefully package your order at his own cost, he'll then calculate actual postage in order to send you a total shipped cost. It isn't mandatory but David would also be interested to know a little about your car. If you're paying by check, Dave will email you a total and his mailing address so you can mail him a check. If you're paying by PayPal, Dave will send you a PayPal invoice. You can then go to PayPal and complete the transaction. As soon as PayPal indicates that payment has been received David will ship your order.